Summer is here! And although Chicago has a reputation as being one of the most frigid cities in the US, summer months here are for being outdoors. Chicagoans wait all year for the city to be in full bloom, and by Labor Day every sidewalk grows a patio and the shoreline of Lake Michigan begins filling with newly-freed shoulder blades getting their first taste of the sun. As such, over the years Chicago has pioneered and embraced the elevated social phenomenon of rooftop bars (pun intended). Spend a night taking in the sights from the 20th floor of one of Chicago’s glittering skyscrapers, and you’ll see why. Even the wind that most people curse during less comfortable seasons becomes a pleasant companion when it accompanies a good, cold drink and a view. The density of outdoor venues in Chicago is seriously impressive and alluring. As always, this list is not meant to be a ranking or an exhaustive compilation of the best cocktail programs or drink menus in the city—instead, this is simply a list of Bevvy’s favorite rooftop bars in Chicago (be sure to also check out the best bars in Chicago). Our standard rule applies: all picks had to be legal, public-access venues, which meant no private clubs or lounges were included. One of Chicago’s most revered bars now offers an outdoor rooftop patio—called The Terrace—with some of the most coveted views of the city skyline. 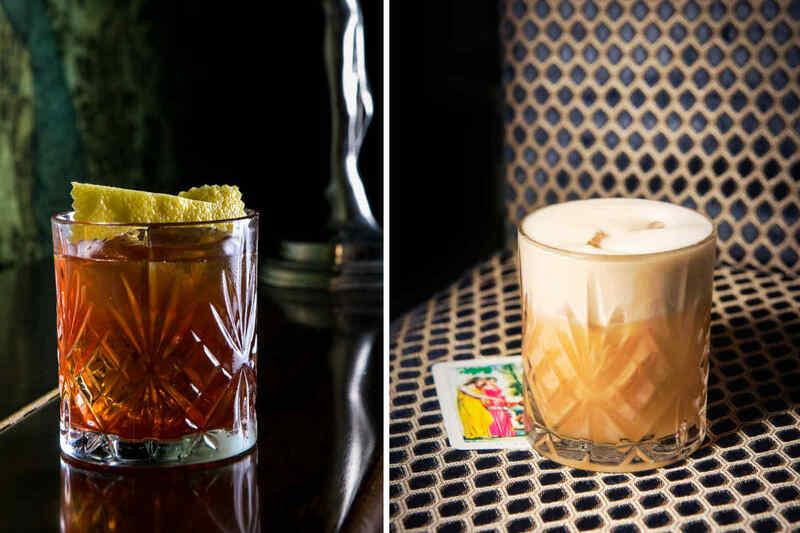 The menu of built cocktails by award-winning bartender Julia Momose is outstanding. Each drink is a world-class experience tailored for the outdoor environment, and meant to hold up in 90-plus degree days. In addition to the outdoor space, GreenRiver has an amazing but smaller speakeasy-style bar with more spirit-forward options, while the main dining hall features one of the most extensive and impressive drink menus anywhere in the world. Cindy’s rooftop bar crowns the head of the impressively renovated Chicago Athletic Association Hotel. Nandini Khaund (Violet Hour) has created a crisp and refreshing drink menu that’s perfect for summer. The Aegean Sea—one of our favorite white Negronis—uses pinecone saps from Mugolio trees grown in the Italian Alps, is garnished with a caper leaf, delivers an amazingly complex and delicious flavor, and is beautifully clear. Cindy’s rooftop veranda overlooks Millennium Park and the Chicago Art Institute as well as Lake Michigan, making it a perfect perch any time events are going on below. ROOF on theWit is one of the most amazing nightlife experiences Chicago has to offer. 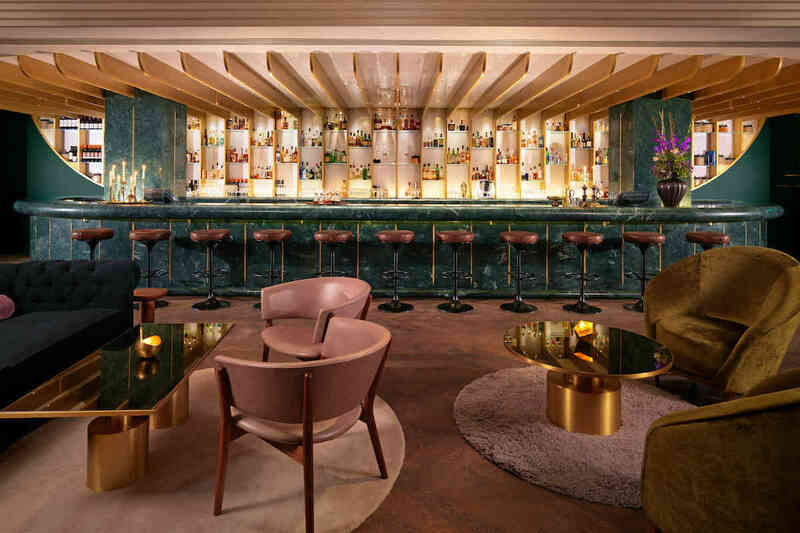 Selected as a “Model’s Choice” bar by ELLE Magazine, this posh electric lounge offers three unique and exciting bars to choose from. The Patio features a retractable roof and year-round service, giving visitors a 360-degree view of the Chicago skyline no matter if the sun is out or snow is falling. The Living Room is a sleek gathering place with a comfortable vibe, and perfect for either large parties or intimate conversations. Finally, what is known as The Hangover is a beautiful deck space that’s open in the summer for open-air imbibing, and overlooks Millennium Park and Lake Michigan. The Virgin Hotels’ ultra-modern, ultra-hip outdoor drink space is perfect for indulging your summertime party cravings. This beautiful spread has fireplaces, lush couches, and phenomenal lighting, as well a some of the most sparkling views in the city. Come here for really great DJs this summer, and mingle with some of Chicago’s coolest partiers. The J Parker from award-winning chef Paul Virant is a glass-enclosed diamond atop the Lincoln Hotel, offering amazing views of Chicago’s skyline and lakefront. 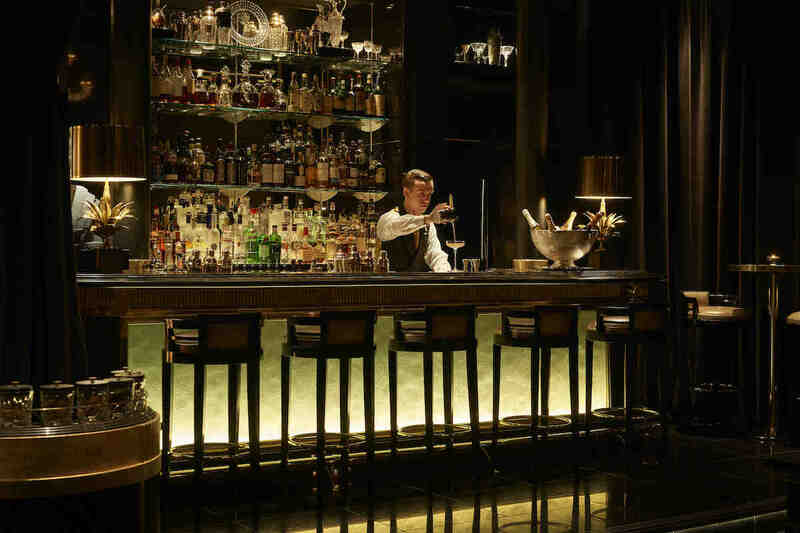 This elegant bar offers a fantastic, David Bowie-inspired cocktail list to accompany Chef Virant’s stellar menu. The view of Lincoln Park and its verdant scenery along Lake Michigan is iconically Chicago—every aspect of the Lincoln Hotel and its dining spaces are expertly designed to feel young but timeless, and is classic without feeling trite. Unencumbered by the wind or large crowds, 52Eighty is a celestially-situated rooftop deck on the 29th floor of The Mile North Chicago Hotel. It’s perfect for a casual evening above Chicago’s downtown, with a striking view showcasing the Old Allerton Hotel and its red neon sign. Seating at 52Eighty is simple and comfortable, and is shaded by large cabana umbrellas to shield guests from the sun during the day. Bernie’s Lunch and Supper Club, located at the corner of Erie and Orleans street, is one of Chicago’s favorite rooftops. This spot has one of the more interesting brunch menus in the city, which pairs high-end craft cocktails with indulgent gastropub meals in a creative and approachable style. A favorite summer cocktail is the Lisa Frank Drank—a frozen Pisco Punch—that is as brightly colored as the unforgettable stickers designed by the drink’s namesake. The rooftop at Rock Bottom Brewery, a local brewery in the center of The Loop, is known for outstanding beer and being one of the best places in the city for people watching. 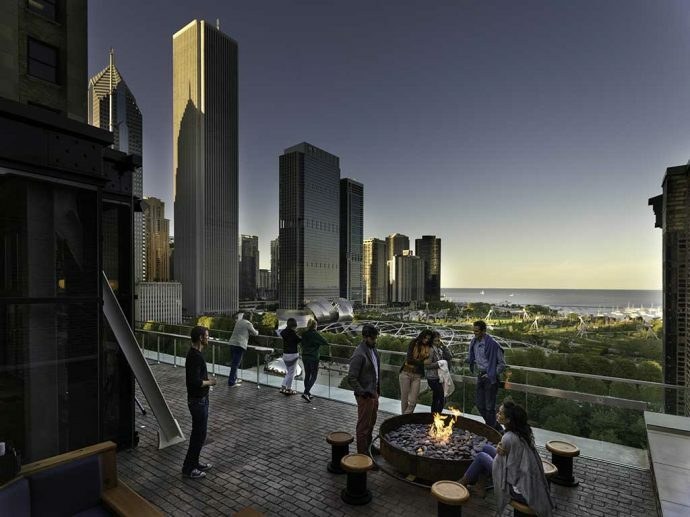 The large rooftop deck overlooks the main thoroughfares for busy travelers visiting the many upscale Chicago hotels, and is close to world-class shopping on Michigan Avenue. Castaways is a dance club and DJ venue located on the beach of Lake Michigan, on top of a fabricated vintage boat. Pairing concession food and (surprisingly affordable) Frozen Margaritas and Daiquiris with beach bodies and high-energy DJ sets, Castaways’ brand of entertainment is usually a thrill reserved for younger folks—think spring break with all of the trimmings. Local radio stations are always around on the weekends, drawing young Chicago singles out to mingle with one another under the sun. If you’re over 30 and decide to let your inner 22-year-old out for a day here, try to remember the lessons from your past: hydrate, and buddy system. And for heaven’s sake, wear sunscreen. Posh surroundings, elevated cuisine, and a stellar cocktail list accompany NoMI Lounge—one of the better hotel rooftops in The Loop—at Chicago’s Downtown Hyatt. Take in the spectacular sights from the indoor lounge, or step out into the NoMI Gardens to enjoy the views under the sky. The NoMI Gardens also has an amazing brunch menu and is often less crowded, making it ideal for locals looking for a haven away from tourists. Exposed brick structures and enticing fireplace seating outdoors are fitting company for the classy interiors of this Near North Side favorite. Cocktails at Drumbar are forward thinking and impressively prepared, and are separated on the menu into shaken drinks and more spirit-forward stirred cocktails. Try the Beat That Never Dropped, a Del Maguey Vida Mezcal concoction featuring strawberry champagne vinegar, Cocchi Rosa, lemon, Hellfire Bitters, and spices like cumin and caraway. Brightly-colored walls adorned with murals and ivy facades enclose guests beneath overhead string lighting, giving this rooftop space a private feel. Joy District’s outdoor environment is a great addition to the opulent, massive downstairs dining and dance floors of this River North lounge. Everything about Joy District is curated, and the drink menu is no different. Classics like the Vesper and Vieux Carré fit well alongside other specialty drinks, many of them variations of modern favorites. This place is not for a quiet evening, so grab your dancing shoes (if that’s your thing) and join in on the late-night shindig. Raised is a beautifully conceived urban rooftop bar overlooking the Chicago River. The beverage program is run by William Nykaza and features cocktails made with local and organic ingredients, served by the glass or by the decanter (for six). All of the seating options are elegant and the service is impeccable. The views are beautiful at night and also impressive during the daytime, making brunch here an absolute treat. We especially like their Bloody Mary Toolbox, which comes with shrimp and Chicago’s famous Giardiniera. Aire is one of the newer additions to the hotel rooftop scene and is located in the Hyatt Centric Loop location. This pretty outdoor space features lush greenery and flowering trees alongside unique, quirky furniture and small glass-enclosed fireplaces. There is a short but delightful drink menu that is as much about craft cocktails as it is about wine and beer. The location is beautiful, the space is new and large, and it’s a great final destination for any summertime adventure in the city. Vertigo Sky Lounge is a perfect example of the creativity that can go into a rooftop environment. Beautiful engaging wood seating options, glowing orbs, internally-lit floors, and artificial grass settings give this venue a modern resort vibe, which coexists beautifully with the breathtaking 26th floor views. The dress code is serious and the clientele is chic, so don’t forget to bring your A-game. 2 Comments on "The 15 Best Rooftop Bars in Chicago"
Nice list. I may be going to Chicago soon, so this is going to come in handy for sure!